Today's players consume more information through a screen than ever before. 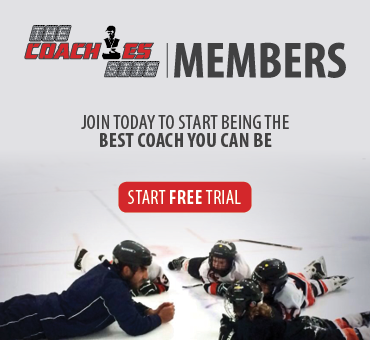 With video being such a prominent resource there is a fine line for minor hockey coaches in terms of using it as a teaching and feedback tool. While different tactics are key to success, it’s all about developing strong instincts. “I think in a lot of cases coaches, and sometimes parents, want to use video to the same extent that a professional team would use it which is highly extensive. I think it can be equally as effective, or in some cases for kids more effective, if it’s just provided in a really simplistic way and in small doses,” said Aaron Wilbur, founder of The Coaches Site. The reality for today’s kids is visual learning. The goal of using video should be to trim it down into smaller, more consumable clips. Wilbur tells of a story he heard of Mike Babcock’s video sessions with Team Canada not lasting more than five minutes because he knew he would lose the attention of the players. The theory is the longer the video, the lower the retention rate. If adult professionals have just a few minutes for an attention span, think about how long an Atom or Peewee player will be focused. Video can be used to teach situational play for how coaches want to play and what you want to do. It can also be used to highlight specific skills that will be worked on during practice. If there will be a focus on edgework, coaches can simply show players this clip for them to gain a better understanding of what is being taught. Coaches need to make a connection between what players are watching and understanding when and where to use the certain skills. Video can also be used as a positive reinforcement tool. While it can highlight areas of improvement it can also show the positive lessons that players are learning and applying. Keeping the lessons age-appropriate means you are building up, not breaking down. Finding the appropriate balance between off-ice and on-ice skill building, through dryland training or video, is important for coaches. Video can be a valuable teaching tool if used correctly and with so many resources out there it can be an option worth exploring for coaches looking to try something new. Dan Pollard is the host of Breakaway, The Minor Hockey Podcast. 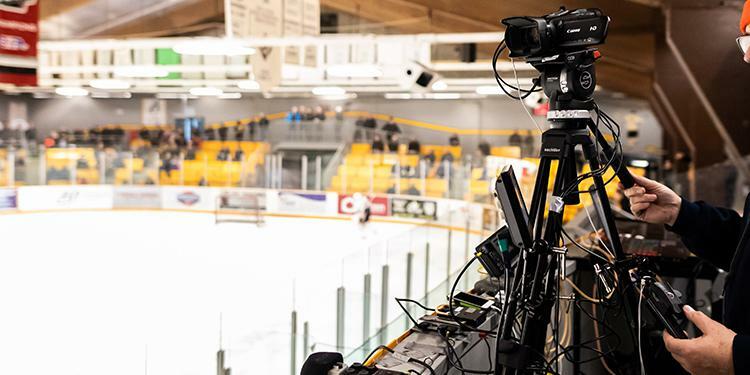 His passion for hockey led him to volunteer as a coach and administrator while his professional career has allowed him to cover the game at various levels with CBC, Sportsnet, the NHL Network and TSN. You can currently hear Dan every morning on 105.5 Hits FM in Uxbridge.